Transfer your entry to a friend/colleague. As long as we have their full details 21 days in advance of the race, there will be no charge for this. Please note that transferring your entry to somebody else without notifying us is irresponsible and dangerous, particularly in a medical emergency. Doing so can also lead to disqualification from future races. Defer your entry to next years event. 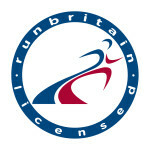 There will be a £3 charge for this to cover the cost of your race number and timing chip. The £3 is payable upon collecting your race number and chip at the following years race. Transfer your entry to a friend/colleague, as long as we have their full details. There will be a £3 charge for this to cover the cost of a new race number and timing chip (please note that chips are single use and registered with each entrant’s details). The £3 is payable when your colleague/friend collects their race number and chip at the race. Defer your entry to next years event. There will be a £5 charge for this to cover the cost of your race number and timing chip, plus a contribution towards the runner fee paid to the venue. The £5 is payable upon collecting your race number and chip at the next race. Transfer your entry to a friend/colleague, as long as we have their full details. There will be a £5 charge for this to cover the cost of a new race number and timing chip (please note that chips are single use and registered with each entrant’s details). The £5 is payable when your colleague/friend collects their race number and chip at the race. If you wish to withdraw from the event less than 7 days before the date of the race, we reserve the right to charge a £10 deferral fee or transfer fee – but this is a concession and not automatically given. No deferrals or transfers can be offered within 48 hours of the event. Once you have deferred your entry, the entry is only valid for the following year and cannot be deferred for a second time. Deferred entries are strictly non-transferable. Whether you have never run a race of this distance before or you are a seasoned runner, we’re sure you realise that training is essential. Remember to listen to your body and take care not to leave niggling injuries untreated. Eat and sleep well and remember to taper your training as the race date approaches so that you have enough energy for the big day. We strongly recommend that you visit the Runners’ Medical Resource website which has lots of useful information to help ensure you are fit to complete. The Purbeck Ultra – 7.30am. The Purbeck 5K – 6.00pm. The Purbeck Marathon – 9.30am. The Purbeck 16 – 10am. The Purbeck 10K – 10:30am. The Purbeck Ultra – Friday ONLY. The Purbeck Marathon – Friday, Saturday & Sunday. The Purbeck 16 – 10am. Friday, Saturday & Sunday. The Purbeck 10K – 10:30am. Friday, Saturday & Sunday. Please ensure that you complete the details on the reverse of your race number. This is for your own safety; we need medical and contact information should anything prevent you finishing the race. There will be chip timing mats and check points at key points around the courses. It is essential that you run (or walk!) over these as they are there not only to time you but to ensure that we know who is out on the course. Swanage and the Purbeck area has much to offer in the way of accommodation. Please visit www.visitswanage.com or Trip Advisor for more information. It’s worth noting that if you only want accommodation for 1 night it’s usually better to call than to try and use online booking tools. Payment can be made by cash or using your mobile phone (you can pre-register) – further details are here.